Pope Francis has said that it's the devil himself who keeps evangelicals, Catholics, and Christians from other denominations divided, and rejected the notion that it's heretical to believe that all Christians are one. 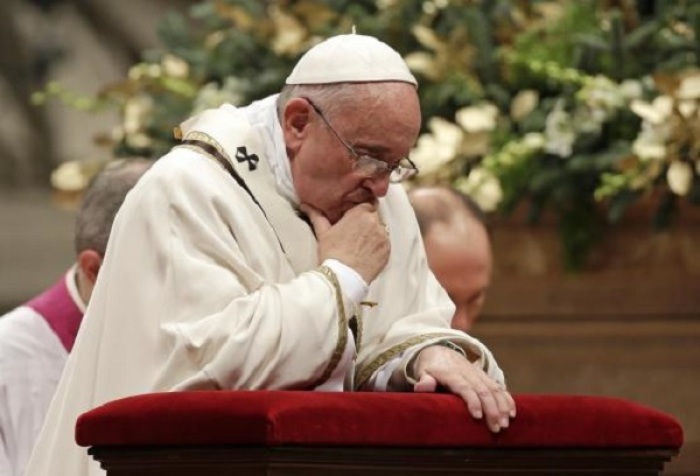 "Division is the work of the 'Father of Lies,' 'the Father of Discord,' who does everything possible to keep us divided," Francis said in a video message to a gathering sponsored by the John 17 Movement, according to Catholic Herald. "I feel like saying something that may sound controversial, or even heretical, perhaps," he added. "But there is someone who 'knows' that, despite our differences, we are one. It is he who is persecuting us. It is he who is persecuting Christians today, he who is anointing us with (the blood of) martyrdom." Francis added that the devil "knows that Christians are disciples of Christ, that they are one, that they are brothers! He doesn't care if they are Evangelicals or Orthodox, Lutherans, Catholics or Apostolic … he doesn't care! They are Christians." The Roman Catholic Church leader insisted that "division is a wound in the body of the church of Christ. And we do not want this wound to remain open," he said, urging for Christians to seek unity together and pray for one another. "On the eve of His death, He pleaded: "Father, may all who believe in me be one so the world will know you sent me." This final plea stands as the most authoritative strategic direction for followers of Jesus," the movement says. "As we respond, the church — in all her rich diversity — will emerge as the attractive "city on a hill" potently demonstrating the authenticity of Jesus' claims." Francis has made the call for Christian unity one of the main missions of his papacy, and has reached out to Christians from different denominations on a number of occasions. In July 2014 he became the first pope to make an official visit to a Pentecostal church, when he spoke at the Evangelical Church of Reconciliation in the southern city of Caserta, Italy. "Someone will be surprised: 'The pope went to visit the evangelicals?' But he went to see his brothers," the pope told the 350 or so worshipers at the church, and offered his apologies for the past persecution of Pentecostals at the hands of the Roman Catholic Church. Vatican Treaty Officially Recognizes Palestinian State; Israel 'Disappointed' But This Is Nothing New?